It’s never too early to start considering the impact of the tax season and the capacity it has to boost sales for dealers. The truth is that ‘tax season’ is actually year-round, as businesses and individuals alike are constantly chipping away at the ongoing task of getting ready for the following April. With this endless preparation in mind, dealers must always be thinking about what customers need in order to keep their data safe and easy to access when needed. According to VOW’s Vow To guide, How to help businesses get set for tax year end, ‘For business product resellers looking to help customers to successfully comply with legal requirements, and submit their statutory annual accounts to Companies House and tax returns to HMRC as easily as possible, it’s worth thinking beyond the calculator and storage box, however essential both of these are’. Times have changed, and business’s needs are no longer quite so simple. On top of this, there is now GDPR to consider, which tightens security around the kinds of confidential data being stored for tax purposes. 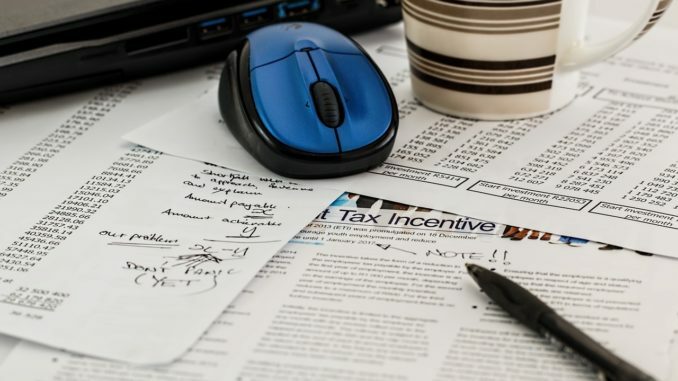 Before we discuss the actual office equipment customers are likely to require for keeping on top of taxes, let’s consider what dealers should be ensuring that those customers know. Taxes must be tackled little and often. To avoid a mad rush before the deadline, it’s easier for everybody involved if businesses work on their taxes throughout the year. For dealers, this is an opportunity to upsell, keeping data storage – and the subsequent destroying and archiving of that data – near the forefront of customers’ minds. All necessary paperwork and data should be collected. Hopefully, customers already know this, but absolutely everything to do with finance must be taken into account regarding taxes, which gives resellers the opportunity to offer the kinds of storage which will protect this sensitive data. Know the deadlines. Dealers can make it their business to remind customers of tax deadlines, thus having specific times of year when they offer data storage solutions and, potentially, strengthening their relationships with customers. Offering storage and filing solutions is easy – but what exactly is on offer? The range is widening all the time; gone are the days of simple accordion files and little else, and space-saving and security are increasingly important factors. Box files may be reasonably space-efficient, but less so for the storage of semi-active or inactive data. Bankers’ boxes are an ideal solution for archiving data that’s not so old it needs to be destroyed, but old enough that infrequent access is required. They save space and have plenty of labelling room at the front, making it easier for customers to find what they need. You might also like... Jobs of the future: What will our children do? For other data that requires physical copies to be kept, lockable filing cabinets work well, particularly if they have a key code. Limiting access to just a few trusted employees will help to improve security here, too. Lockable boxes and folders are also useful for the storage of active data that is accessed most frequently. These are all necessary tools for making storage and filing as effective as possible for when the time comes to find that one piece of paper you need ASAP. Good filing comes down to good organisation, and it goes without saying that dividers, clear labels and bold marker pens can make the process a great deal simpler. With HMRC currently pushing its ‘Making Tax Digital’ campaign, and the deadline for submitting taxes online coming at the end of this month, digital storage is a hot topic. As long as all relevant information is kept safely, storing everything digitally can be a huge time and space-saver for many businesses. Companies all over the world are making strides in digitising their data, and forward-thinking dealers can offer solutions in this area that provide everything a customer needs. IT-based dealers may already be offering the kinds of software and hardware that can scan and file data within a private cloud – something that will become increasingly important as businesses rely less on paper and begin to fully digitise – but there are other ways that dealers can help. SSD drives, and other encrypted data storage devices, can help ensure that financial data is kept safe, access to which can also be limited for those businesses that are especially keen on security in a post-GDPR world. As the aforementioned Vow To guide states, ‘Documents that are systematically and safely stored make collating a tax return a lot less hassle than it could be.’ Not only do these solutions save space and time, they avoid the financial penalties which can be incurred by failing to comply with requirements and deadlines – so don’t forget to remind customers that excellent record-keeping really is a necessity.